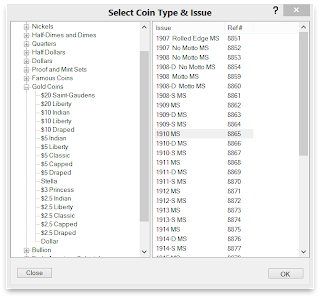 This view appears when you need to choose a coin type & issue. 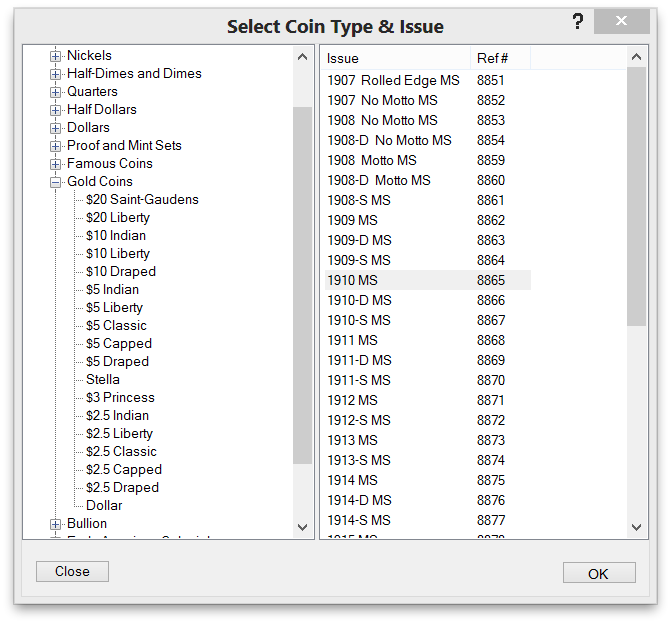 All US Coin types are displayed in a view on the left, search thru the tree of coin types and select the one matching the coin you want to add. Once you've chosen a type, all issues of that type automatically appear in the list on the right. This allows you to select the issue you are interested in.